German Reinheitsgebot, or Bavarian Beer Law? Reinheitsgebot, also known as the Bavarian Beer Purity Law and Bavarian Beer Ingredient Law, was enacted in 1516 so that only beers made with just three ingredients -- hops, barley malt and water (yeast was unknown at the time) -- were allowed to be labeled a "pure" German beer and fit to drink. After all, beer was considered a food staple at the time. This law is used for marketing beer even today. Gebraut nach dem Reinheitsgebot (brewed according to the purity law) or 500 Jahre Münchner Reinheitsgebot (500 years of Munich purity law) are proudly displayed on beer bottles and in advertisements. Beyond the question of why you would want to limit your beer ingredients, you might wonder if this was the first law about beer ever written in Germany and is it still on the books. And the answer is no, to both. The Bavarian Purity Law for beer was passed on April 23, 1516, at the Ingolstadt Landständetag, a meeting with representatives of the nobility, delegates from the city and markets, and church prelates. This law is the reason for the good reputation of German beer. The modern version of the Reinheitsgebot is not the first attempt at steering the production of beer. It is, however, seen as the high point of several hundred years of regulatory development which was aimed at supplying the citizens with qualitatively good beer, a food staple at the time, while regulating the prices. Forays into creating laws about beer had been made long before the Bayrische Reinheitsgebot of 1516. Augsburg passed one in 1156, Nuremberg in 1293, Munich in 1363 and Regensburg in 1447. There were many other regional price and manufacturing laws passed in the latter half of the 15th and early 16th centuries as well. A concrete definition as to specific raw ingredients -- water, malt, and hops -- for the manufacture of beer was determined in Munich on November 30, 1487, by Duke Albrecht IV. Another direct forerunner to the 1516 law was the 1493 Duchy of Lower Bavaria Beer Decree written by Duke George of Bavaria, which also limited ingredients for beer to malt, hops, and water. The law also had very detailed paragraphs stipulating the price at which beer could be sold. This law was enacted to make sure the citizens had good beer at a good price, but also to protect grain which was better used in bread baking. A high standard of quality was at that time already coupled with the idea of consumer protection. Beer in the Middle Ages was being brewed with all sorts of ingredients which altered its taste or had intoxicating effects while skimping on the expensive ingredients. Malt and/or hops, and the toxic effects were not taken into consideration. By 1486, a Decree for Brewing Ordung des Bräuens, was already stating that "Es sollen ... keinerlei Wurzeln, weder Zermetat noch anderes, das dem Menschen schädlich ist oder Krankheit und Wehtagen bringen mag, darein getan werden." In other words, "... no roots [...] which are deleterious or which can bring illness or pain to a human, may be used." Before 1516, the northern German brewers with their strict guild rules had the best beer quality, but the Reinheitsgebot changed that. The Bavarians quickly increased their product quality and some think they surpassed the northern guilds. 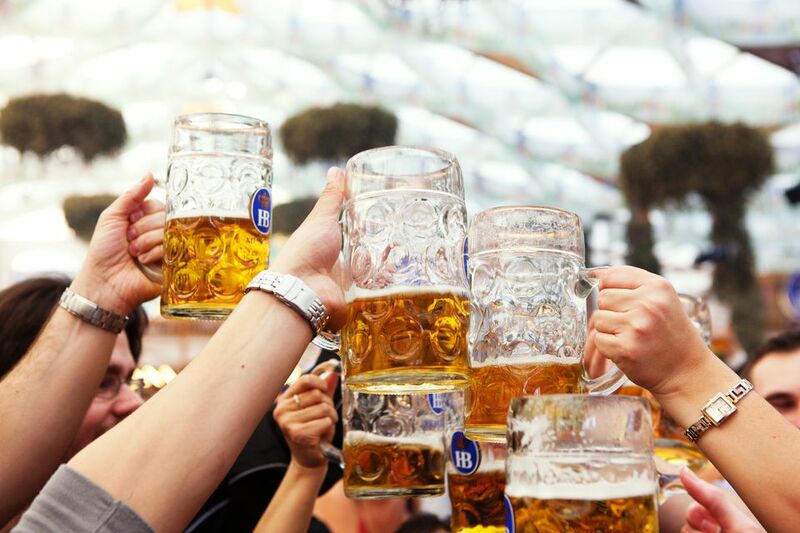 In northern Germany in the Middle Ages, beer was accepted as a basic staple food for the citizens. It was regulated by civil laws and was successfully defended from the nobility and the church. Beer production regulations were determined by the city government and the guilds. In southern Germany, the local rulers had more influence over the beer regulations. This was good for the purity law because it went into immediate effect over all of Bavaria. The high quality of beer which was brewed after this law went into effect convinced many people of its value, who were also very proud of using only three ingredients, and the purity law continued to be followed through several centuries. In 1871, the Reichstag (German parliament) enacted laws which included taxes on beer, but where the law described allowed ingredients (starch, sugar, syrup, and rice), they made an exception for Bavaria, Baden, and Württemberg, in order to preserve their Reinheitsgebot. The purity law first became binding for Northern Germany in 1906. At the end of World War I, when the Weimar Republic was founded, Bavaria refused to be a part of it unless the purity laws were effective in all areas of the country. After World War II, the Reinheitsgebot was written into the Biersteuergesetz, or beer tax law, of 1952. This form of the law remained until 1987 when a European Union court of law forced Germany to change the law to allow for free trade within Europe, as the purity law was seen as a kind of protectionism. Nevertheless, many breweries stick to the older law and advertise the fact.